Lighting solutions for new and existing homes, large or small! Lighting control is one of our favorite products. You can turn on lights from your phone, automatically light a path from your garage to your kitchen, control all the lights in your house from one keypad and set various “scenes” in each room. For example, press PREPARE to turn on under-cabinet, recessed, sink or table lights to make the room bright for cooking; then, press DINE to lower the lights and chandelier for a relaxing meal… with one touch). Lighting control can also add safety by making your home look lived-in: important for second homes or while on vacation. Unlike the old-fashioned plugin timer that goes on at 7 PM every night, you can vary the scenes so that it appears someone is really at home. And, if there is an intrusion, lights will automatically turn on and sirens blare to warn anyone of going further. Want to turn on flood lights from three or four places? 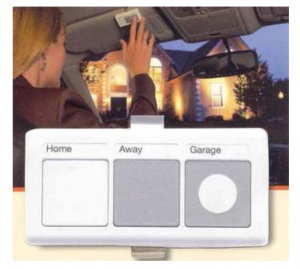 How about turning on all the lights around your home with one button at the door as you’re leaving? No problem. Ask us about the many options to make lighting much more than a simple necessity. The ideal situation for installation is in a new home where we can work with your electrician prior to wiring. 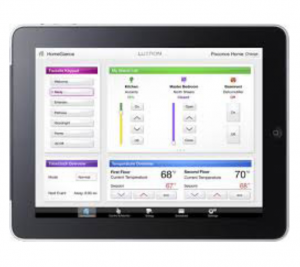 However, since Lutron lighting control operates wirelessly, we can also install it in existing homes. 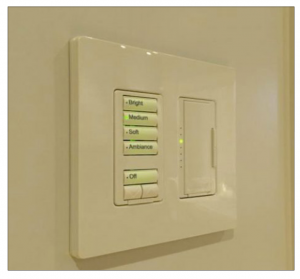 We simply replace the toggle switch on the wall with a smart dimmer and add 6-button keypads where it is convenient (with buttons engraved for each light scene). 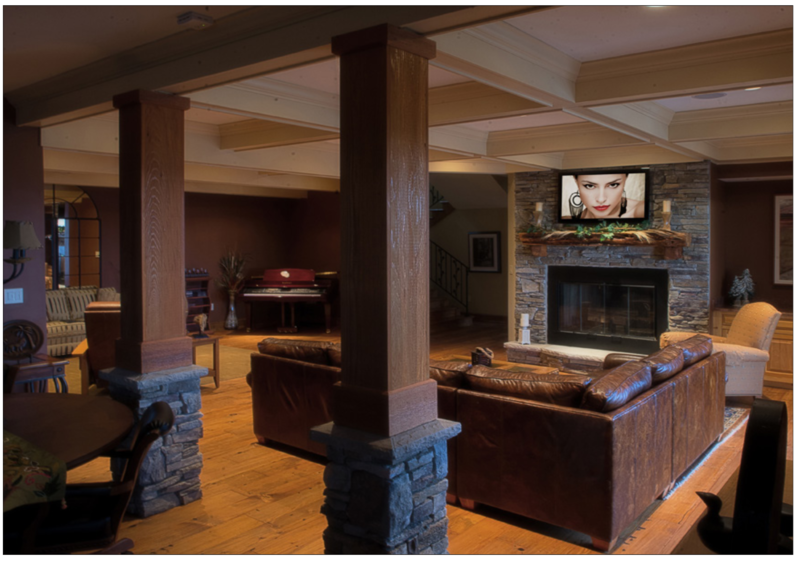 You can add just a few lights or control a large estate, and we will help you select the perfect lighting control system for your home. 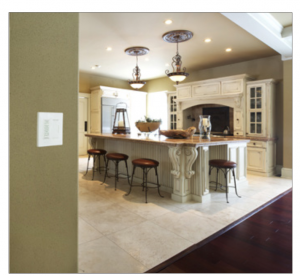 Our dimmers are also compatible with today’s LEDs. The lighting control system has a built-in astronomical clock so it knows that dusk occurs at 4:30 PM in winter versus 9 PM in summer. It will turn on outside landscape lighting automatically at dusk then off at 11 PM. We will integrate your system into the security system so lights illuminate on an intrusion alarm, a pathway is lit for safe exit during a re-alarm and there is just enough outside light so cameras can see clearly at night. For homes with cameras, we even leave a little light on at night at 15% to help the cameras see better. All outside lights automatically turn o at sunrise in case you left them on. Automated Lifestyles is a Lutron-certified partner, having completed advanced design and programming courses at Lutron’s world headquarters. Design, programming and training are important to ensure you get a functional, easy-to-use system. We can set up your keypad buttons based on our experience from other projects, ensuring the job is done right the first time. We also have an eye similar to interior designers, ensuring that your wall space looks uncluttered and clean. We have many years of experience in all size homes, from 1,300 to 18,000 s.f.